Oreck offers the Oreck® XL® Professional Air Purifier - Black for $99.99 via coupon code "AIRXL99". 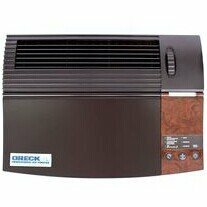 Features: Built for smaller rooms, Oreck XL® Professional Air Purifier Tabletop model is just 16.6" wide and filters the air in an average-size room* in up to 12 minutes. It's six-stage filtration Truman Cell ™ Proprietary Technology that reduces dust and allergens as they pass through the filter. The Permanent Truman Cell cleans easy with soap and water, so that means there are no expensive replacement filters to buy. 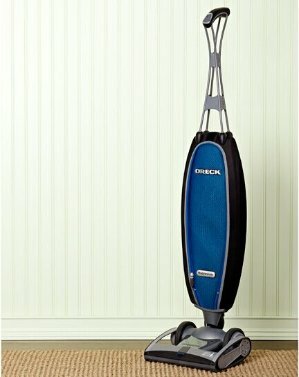 Oreck offers the Oreck Magnesium SP for $299.99. Amazon offers it for $499.99. Features: a HEPA inner bag, as air passes through this bag, it captures at least 99.97% of particles at .3 microns from that air. Its Saniseal Docking System keeps dust from escaping when you change bags, no mess, no fuss.